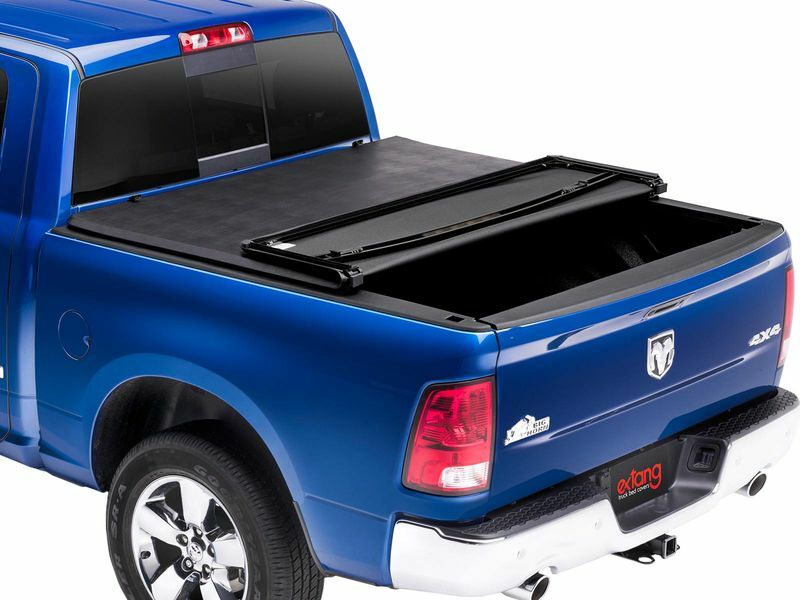 Extang eMAX Tonno is the only soft-folding cover that folds up at the front of the truck bed to offer access to 100% of the bed interior. Extang eMAX installs in minutes, and whether its open to full capacity or closed, remains hassle free and good looking. Extang eMAX Tonno is based on the number one selling Trifecta platform, featuring the same superior components: Speed & Safety Klamps, MaxHinges, WeatherTuff Seals and I-beams bows. Extang eMAX Tonno, like all Extang products, is proudly made in the USA with the best materials and attention to detail. We back our work with our Maximum Strength Lifetime Warranty. Folds up and stands away from rear window for 100% Bed access. 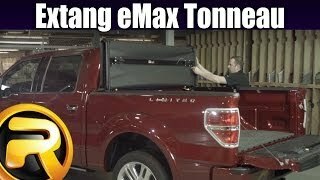 The eMax Tonneau Cover from Extang is the only soft folding tonneau that gives you full access to your truck bed. The cover folds all the way up to the cab and secures with prop rods allowing you full use of your bed space. The cover is easily operated with patented Speed Klamps that can be latched and unlatched with one hand. The eMax installs in just minutes with no tools involved and is backed by a lifetime warranty on the frame and 10 year warranty on the vinyl. 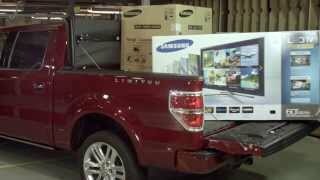 The eMax is the only soft folding cover that allows use of the entire truck bed. 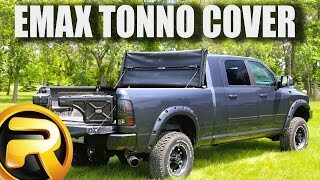 Why buy another cover that limits use of your truck!? The eMax secures in the upright position for safe driving even at highway speeds. It clips near the cab and prop rods lock it into position. OE quality "weather tough seals" protect your truck's paint and keep your gear dry. Extang's additional tailgate seal is optional. Extang's patented "Speed Klamps" are easy for anyone in the family to use. The eMax installs in minutes without any tools. 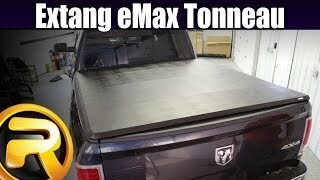 The vinyl used on the eMax tonneau cover is the top of the line. With the look and feel of this cover you know it was made in the USA. The max hinges on this cover have a double pivot design and are padded to protect your truck unlike any other soft folding cover. The with or without cargo management, utili-track, or deck rail system options refer to the factory installed rail system designed to hold moveable cargo cleats along the inside of your truck bed.